Fuqua students have high aspirations to make an impact on the world, and this environment provides numerous opportunities to make the business school experience transformational. 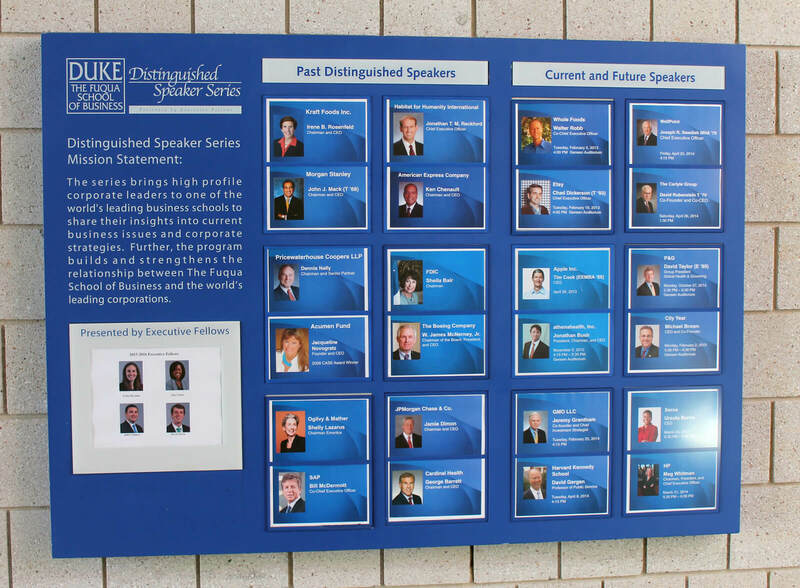 The Distinguished Speakers Series (DSS) at Fuqua is instrumental in this process, exposing students to the personal and professional stories of current leaders who are actively changing the business world. DSS is an incredible supplement to what we learn in the classroom everyday and a great opportunity to be exposed to business leaders in an intimate and personal setting that is rare outside of business school. The spring semester of 2015 was fantastic for DSS, as Fuqua hosted two female CEOs of fortune 150 companies within two weeks. 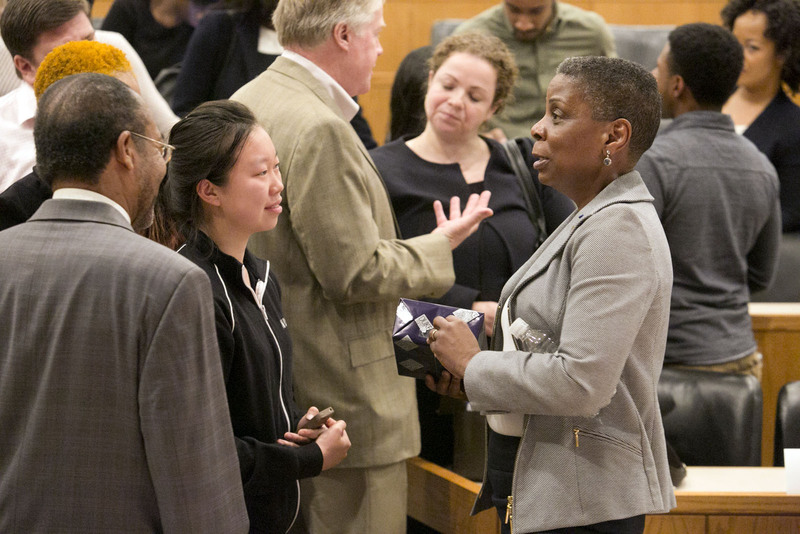 Ursula Burns, CEO of Xerox, and Meg Whitman, CEO of Hewlett-Packard (HP), both visited Fuqua to share insights from their personal and professional journeys. Both leaders have very different backgrounds, and therefore very different approaches to leading their massive organizations. They were excellent at sharing their perspective on the current business world, and how each of their companies would impact it moving forward. 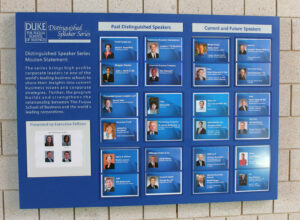 The opportunity to hear both speak so closely together really emphasized the diversity of perspectives in leadership. To a crowded Fuqua auditorium, Ursula Burns was candid about her path to becoming the first female African American CEO of a fortune 500 company. 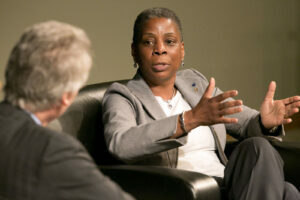 During her conversation with Dean Bill Boulding, she spoke very highly of her mother, who inspired and encouraged her throughout college and her career to do well and think of herself as deserving, despite her poor background. She began her career as an intern with Xerox in 1980 and joined full time in 1981 as an engineer. In 2009, she was named CEO of the corporation. When speaking of her journey from intern to CEO, Ursula mentioned a number of things, but most of all, her determination to become the best at her job and her reliance on a diverse set of mentors. A student asked Ursula how she transformed her reputation as an excellent engineer into someone who could think critically about larger business problems. She explained that becoming proficient at your job is always the first priority, and only after mastering the task at hand is asking for additional responsibility appropriate. She attributes the trust that she was able to earn, as well as her in-depth knowledge of the company, to this method of thinking. Ursula also talked a lot about her reliance on a diverse set of mentors over her career. 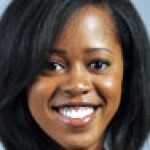 Though many of her mentors were managers within Xerox, she accumulated a great deal of mentorship from leaders at other corporations, discerning those that could guide her by their passions in their own careers. Ursula also spoke about the quality of the team that she has assembled around her, even to this day acknowledging that she has sought out people smarter than her in particular areas. In acquiring mentors, Ursula also mentioned the importance of realizing the value and talents of all people that surround you, including the janitors, administrative assistants and other people who may hold a perspective that is more practical and realistic than the people operating in the boardroom. She attributes a large chunk of her success to her refusal to discount anyone’s opinion, which I found very unique and inspiring. Meg Whitman was exceptional in explaining her career path, which took her from working for a number of large corporations, to consulting with Bain & Company, to joining the bottom floor of eBay and turning it into a company that would define a generation of tech startups. Meg described her journey as a desire for challenge. Each opportunity led her to be challenged in a way that she had not been before, and therefore revealed her own strengths. 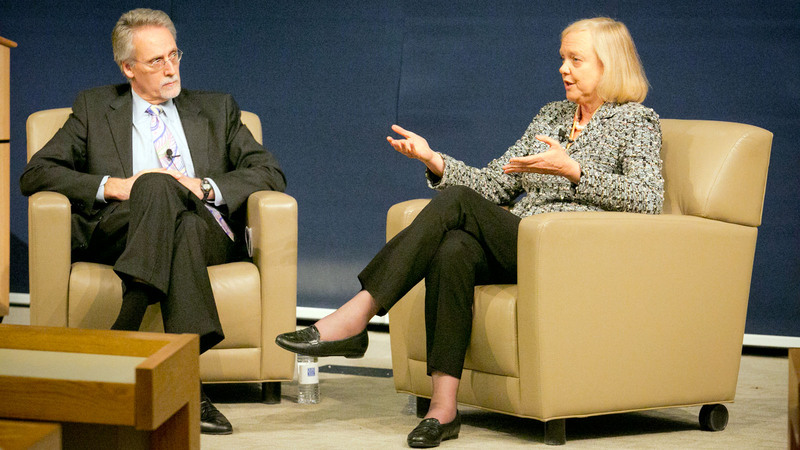 Now as CEO of HP, Meg is undertaking the major initiative of splitting one huge corporation into two. Though this sounds intimidating, Meg explained how her previous experience has prepared her to excel at her current tasks. Meg spoke in great deal about how her time in consulting provided value when she would have to navigate the career hurdles that followed. She attributed her impact at eBay to her ability to learn and pick things up quickly, and think thoroughly about how to solve any problem. She also highlighted some of the obstacles that she faced as a business woman in the early 1980s, and what fearless attitude was needed to confront individual problems and injustices as they arose in order to change the norm going forward. One of the topics that Meg was most candid about was her political career. Her run for governor of California in 2008 was unsuccessful but very useful in revealing her true passions. Though passionate about many political issues and invoking change, Meg found that there was a game to politics, and that answering questions truthfully and candidly was not always the “correct” way to go. Because of this, she realized that the mold of a politician was not fit for her, and instead she could make more of an impact in the business world. I am fortunate enough to serve as an executive fellow for the DSS, meaning that I am one of the student ambassadors who hosts these important leaders during their visits to Fuqua. As an executive fellow, I have the opportunity to have lunch with them on the day of their visit, and to help facilitate the talk given to the Fuqua student body later in the day. As a student-led business school, our team of fellows is key in hosting and facilitating the visits of these senior leaders. 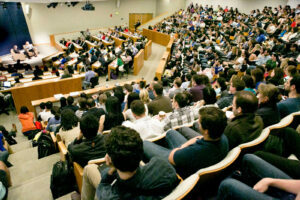 It is a very special and unique opportunity to attend a business school that places this responsibility in the hands of its student leaders. A list of past DSS speakers, including Ursula and Meg, plus videos of their talks can be found here. Meg also discusses sharing vision and fostering innovation in this 3-minute video.